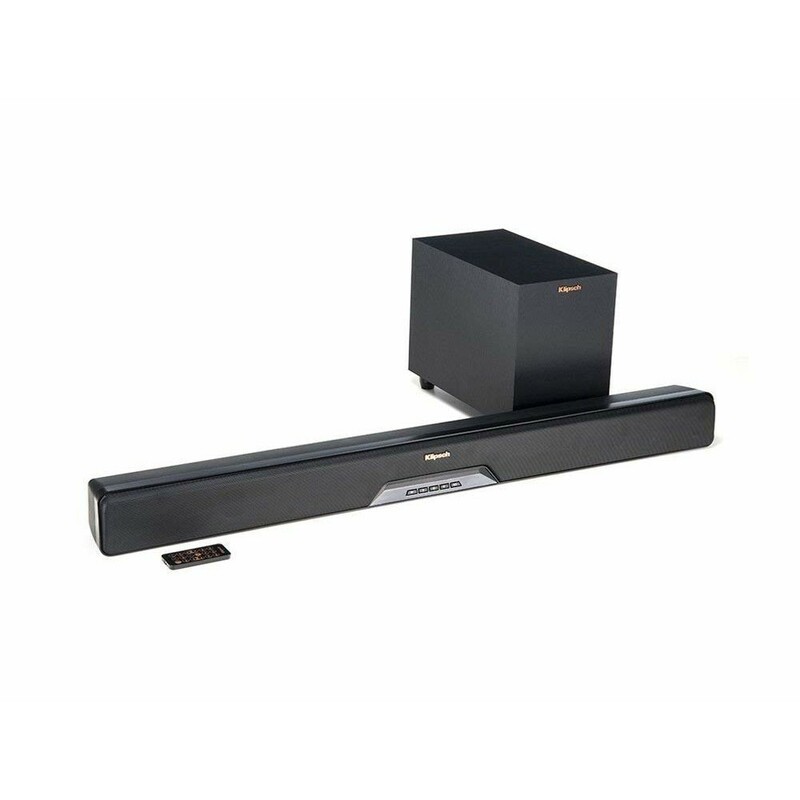 Bring TV programmes and movies to life with the mighty Klipsch RSB-6 soundbar. 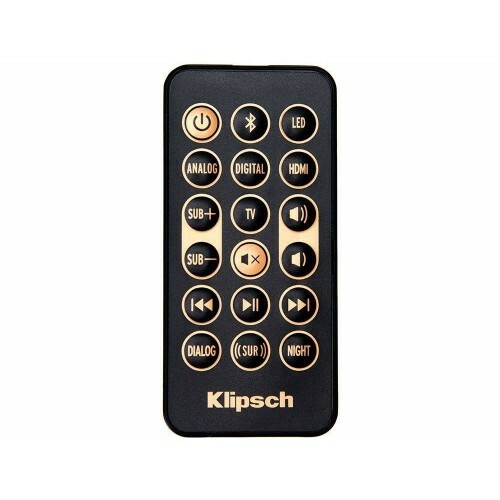 Just plug in and play, and you can start enjoying powerful sound that really adds to your viewing experience. 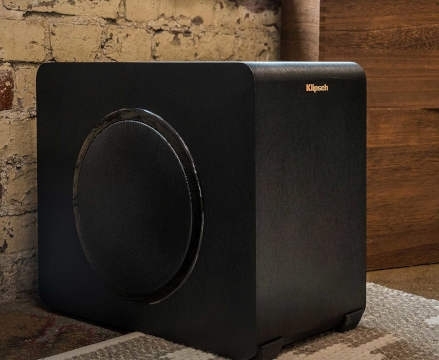 What’s more, the standalone subwoofer unit provides a deep bass rumble to transform your living room into the ideal home cinema. 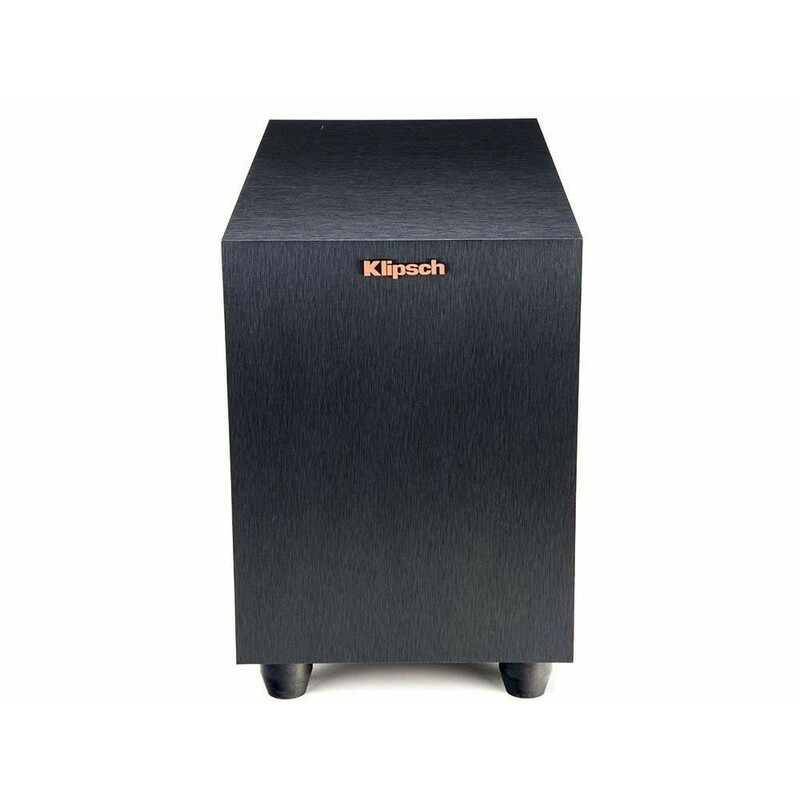 For over half a century, Klipsch have specialised in high-end audio equipment that packs a real punch. The RSB-6 more than lives up to this reputation, bringing all the power of genuine cinema speakers to your living room. Dual 34” fabric tweeters and twin 2.5” mid-woofers provide all the high-end and mid-range needed for crystal-clear dialogue and soundtracks. The optional virtual surround mode, meanwhile, pushes the sound well outside the boundaries of the soundbar itself. With this mode switched on, you can enjoy rich, room-filling sound that makes even Bake Off feel like a blockbuster experience. Finally, integrated Dolby Audio draws out the full potential of films and TV, to maximise your enjoyment. 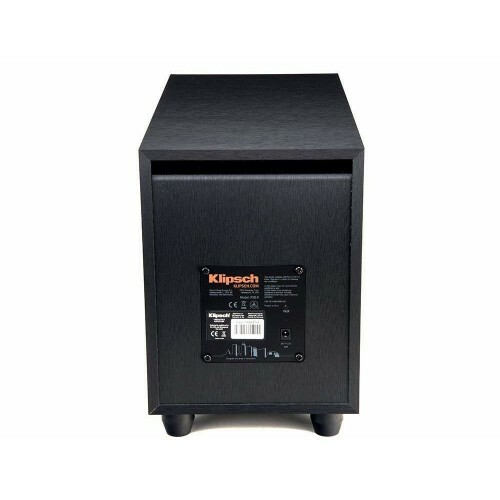 When designing the RSB-6, Klipsch haven’t made any compromises to sound quality. As a result, it’s a fairly large model, measuring 40” long and 3.75” tall. 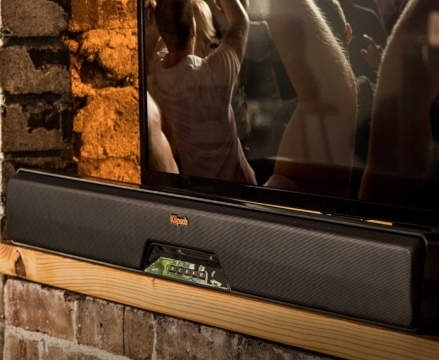 The aesthetics of the soundbar have been carefully chosen to match its audio power, with a muscle car-inspired black grille taking up most of the front panel. 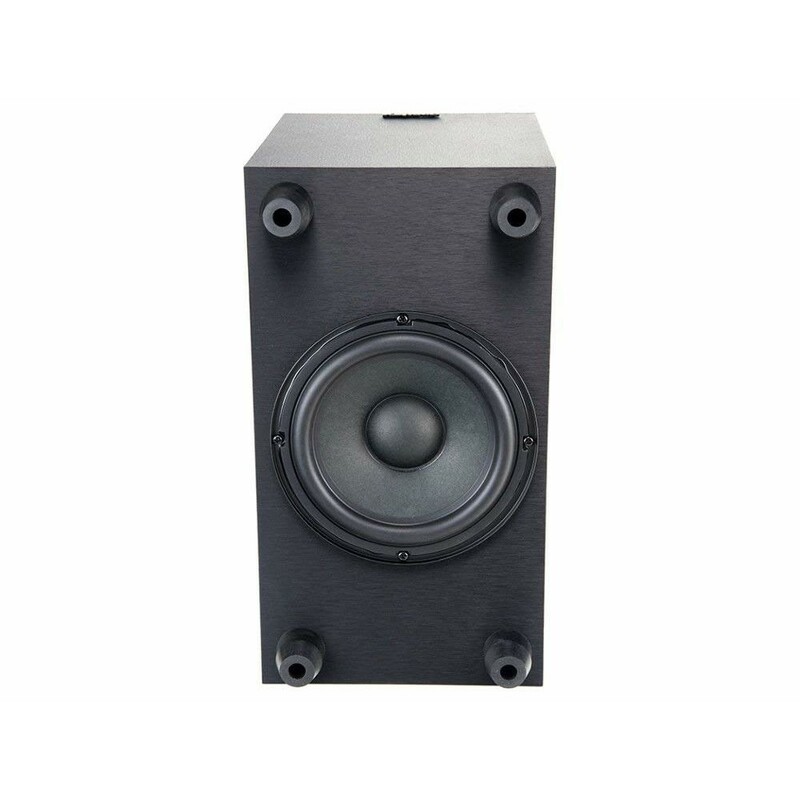 Despite its size, the RSB-6 should still fit comfortably on most TV tables, and the keyhole brackets allow you to mount it on the wall if you prefer. 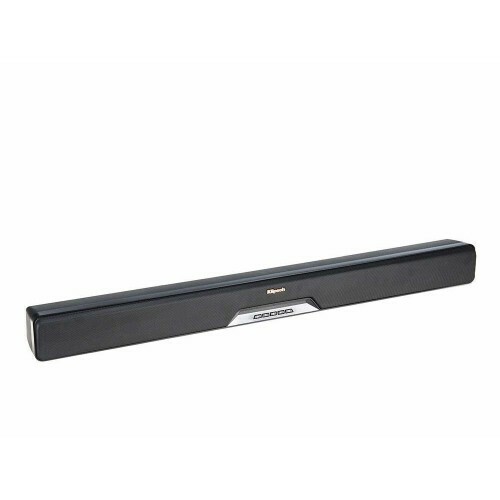 Most other soundbars come with a built-in subwoofer, and the smaller size of these naturally has an impact on bass performance. To combat this, the Klipsch RSB-6 comes with a powerful- yet still compact- standalone subwoofer. Place this anywhere in the room, and it will add some seriously solid bass frequencies to whatever you are watching. With all the weight of big-screen speakers, it’s the ideal way to create a fully immersive home cinema experience. With the RSB-6, there are no complex calibration menus or tricky connections to make. With just a single HDMI cable, the soundbar is ready for action. 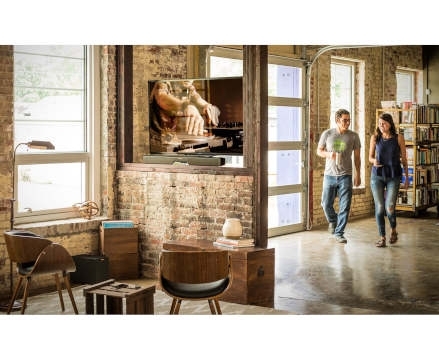 What’s more, that ARC HDMI connection allows for 4K audio passthrough, so none of the sound quality is lost. 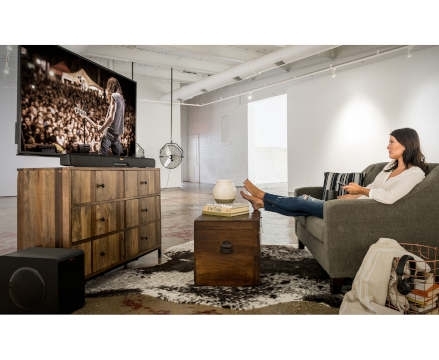 The subwoofer unit automatically connects to the main soundbar wirelessly, too, for added ease of use. As for controls, the unit comes with its own credit card-sized remote, and is also compatible with universal controllers if you like to keep things simple. As well as plugging into your TV, the Klipsch RSB-6 also comes with Bluetooth connectivity. 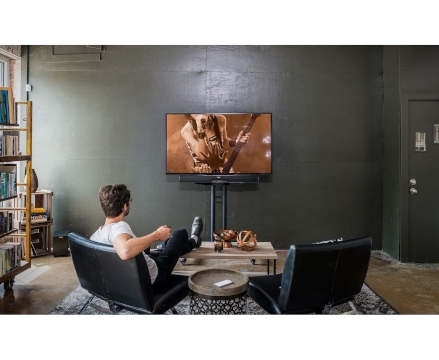 That means you can easily hook up your smartphone or tablet and listen to all your favourite music and podcasts through the soundbar’s powerful speakers. Thanks to the dynamic subwoofer unit, tracks pack all the punch of a live gig, while the tweeters ensure dialogue is always crisp and clear.